Labour must appeal to Remainers of all parties by unequivocally backing a 'People's Vote' - while kicking out this government. The Labour Party united around its policy on Brexit at conference last year but, as with all other aspects of Brexit, that didn’t completely resolve the issue. Our internal debate is now about the staging of the implementation of that policy: at what point should we move on from pushing for a General Election to ‘all other options, including a public vote’ – translated as when do we move on to a referendum on the reality of Brexit. The implication of this debate is that you exhaust one option before you can think about the other. But my view is that the two are not mutually exclusive. We should be pursuing both now. At the risk of a new exclamation from my constituent Brenda of Bristol (“Not another one!”) we need both – a General Election and a referendum on the outcome of Brexit negotiations. The evidence also shows that supporting the latter will help us in winning the former and getting both could, finally, put our country back on course to restore fairness in our society and to be successful in the world again. I want a Labour government. I regret each day that we aren’t in power making the difference to people’s lives that we came into politics to do. The failings of the current minority Tory government would be enough reason alone for us to want to take back the levers of power but we want to go into government because we have a powerful positive agenda for government. The Tories are in a total mess and failing our country. The idea that Labour MP colleagues might be thinking of resigning from our party is just a distraction from this and would be a harmful self-indulgent gesture if it were to happen. Our politics are stuck on Brexit and we have to find a way to move on from this. It is enormously frustrating that there continues to be a media agenda to focus on vox-pops from Leave voters in working class areas, particularly in the North and the Midlands, but there is absolutely no focus on the wealthy, retired voters who were the driving force of the Brexit vote. It is an appalling irony that Brexit is the only channel through which the voices of the North are heard. It is now clear that whatever form Brexit takes, it will make the country poorer and it is those that can least afford it that will pay the price but it is almost certain that is not a story the media will be interested in. The wealthier pensioners who no one talks about will see few changes to their lives as a result of Brexit: they will walk away from this largely unscathed. Another discarded fact is that the majority of Labour voters in every region and every constituency supported Remain in 2016 – even in seats that, on the whole, have a majority of Leave voters. 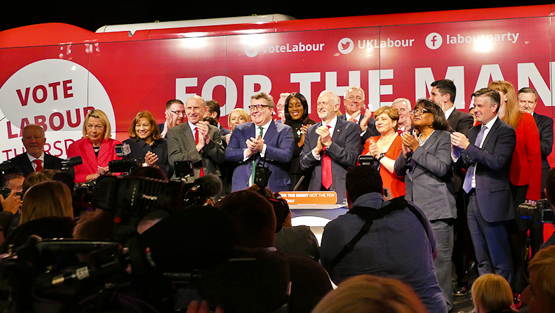 It is well documented that, nearly three years on from the 2016 referendum, support for a referendum on the outcome of the negotiations and remaining in the EU has continued to grow amongst both Labour members and Labour voters. We should recognise and welcome the prospect of electoral gain for Labour from appealing to Remainers of all parties, including Tory Remainers: the reason why Labour made gains in seats like Bristol North West, Stroud and Canterbury in 2017. We have so much more to lose as a party should we back Brexit in any form, than we do from turning against it, in line with the views of an overwhelming majority of our membership and our voters. We will be responsible for taking money out of the pockets of people and impoverishing our country in so many other ways. There are many Labour MPs who represent Leave seats who recognise this fact but, again, their voices are, on the whole, ignored. Labour has the plans and the heartfelt desire to solve what were the causes of Brexit. We need to secure a People’s Vote so we don’t suffer the inevitable losses caused by leaving the EU. We also need a change of government to deal with the causes of Brexit and the only way to achieve this is through a General Election. It mustn’t be either or. Supporting a referendum could indeed be our best chance of getting a General Election and getting back into power. Now is the time for us to embrace the entirety of our conference policy. Clare Moody is a Labour MEP for South West England.